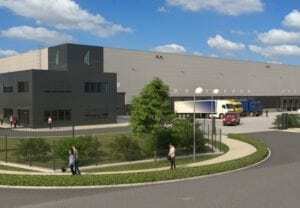 Pan-European logistics property specialist Verdion is launching a 323,000 sq ft warehouse scheme near Copenhagen, Denmark. Verdion Logistics Park Greve will be available to lease or own, and can be subdivided into smaller units if needed. Road infrastructure, utilities and zoning are already in place. John Clements, European development director, said: “Greve is one of the most attractive logistics locations in Denmark, sitting on the main corridor between Germany and Sweden, close to Copenhagen and the Øresund Bridge. Verdion is also promoting new logistics space at its Verdion iPark Copenhagen in Allerød Kommune, 20 minutes to the north of Central Copenhagen and close to North Zeeland’s pharmaceutical industries. A total of 280,000 sq ft of warehouse accommodation including office space is available to lease, with the potential to subdivide units if required. New occupiers will join DHL, which has taken a new 130,000 sq ft state-of-the-art facility to support its contract with one of the world’s largest healthcare companies. Andersen Erhverv is the leasing agent.